Buck Salt Water Splizzors | BUDK.com - Knives & Swords At The Lowest Prices! These Splizzors from Buck Knives are a fishing innovation that every serious fisherman needs in on his boat, in his tackle box and at his cleaning station. This multi-purpose fishing tool combines a pair of scissors and pliers together into one versatile tool that can handle any rugged fishing challenge you meet. The frame is made of 420HC stainless steel with a Cerakote coating that stands up to salt water exposure, and the sharp blades feature 12C27MOD Sandvik stainless steel construction. The Dynaflex rubber handle provides a sure, slip-free grip even if your hands are wet. 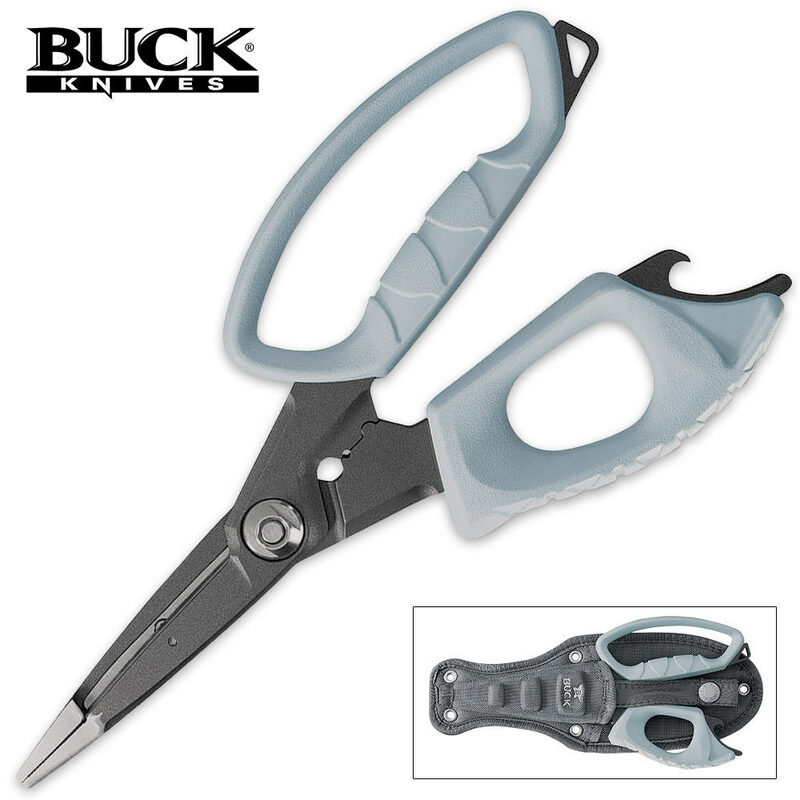 Other features incorporated in the Buck Splizzors besides the scissor blades and plier tips include replacement blades, a bottle opener, a lanyard hole and small and large crimp notches. 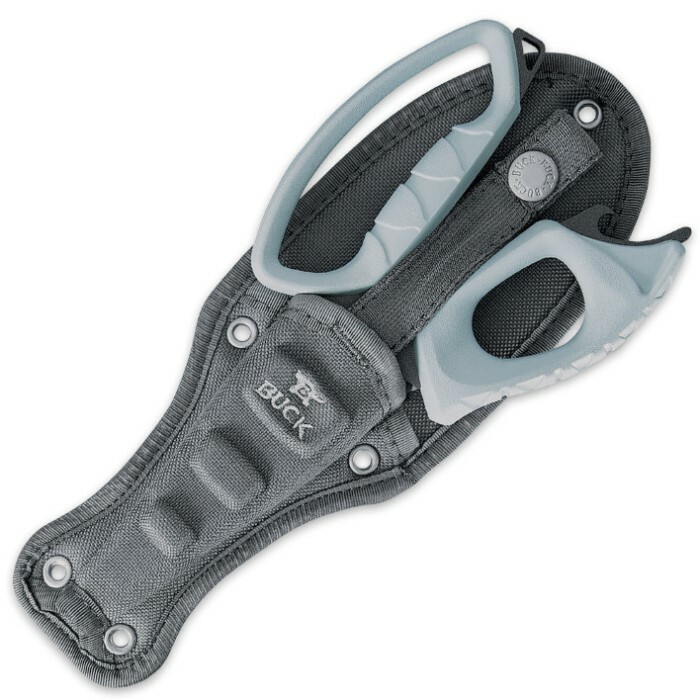 A heavy-duty nylon sheath complete with multiple attachment options is included. Don't go fishing without the Buck Splizzors again! Best of all, it's made in the U.S.A.